Technical Guide 3 | MARUTAI DOBOKU Co,. 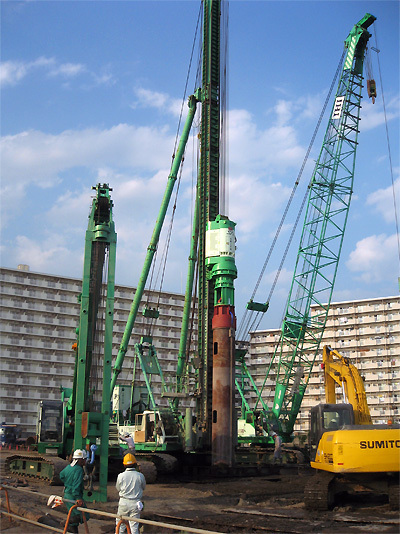 Ltd.
By installing a special blade on the tip of a casing, rotating the casing tube around the perimeter and then by indenting it, it is possible to drill through underground obstacles, boulders or even bedrocks. 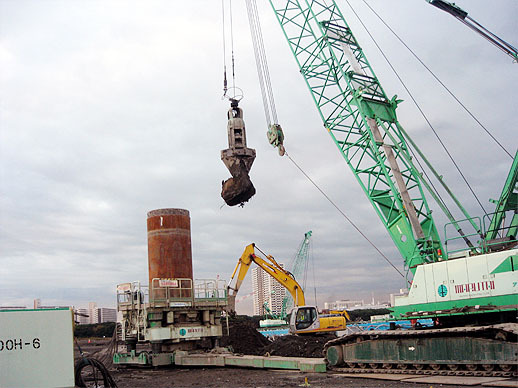 A hammer grab bucket is normally used for drilling inside the casing. A chisel, down-the-hole hammer, or rock auger may also be used in some cases. 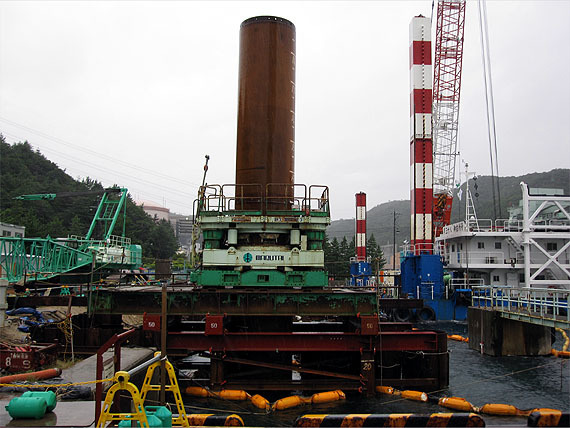 In donut auger method, special blades that are installed at the end of the outer casing and inner auger each rotates in reverse direction drill bedrocks and extract obstacles. There are two types of double spindle coaxial auger, a double gear transmission type (SDA) and single gear transmission type (SMD). 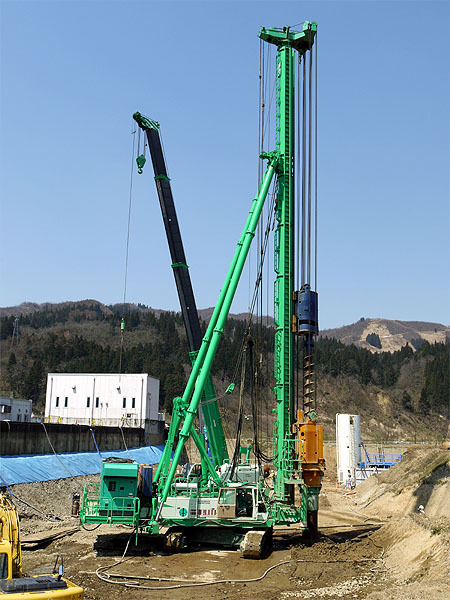 For the ground with no collapsibility, an auger of single spindle is suitable. 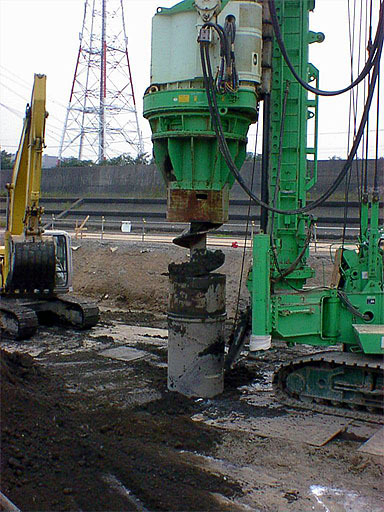 For the ground which may collapse or in need of verticality in hard rock drilling, use of a double spindle coaxial auger is appropriate. 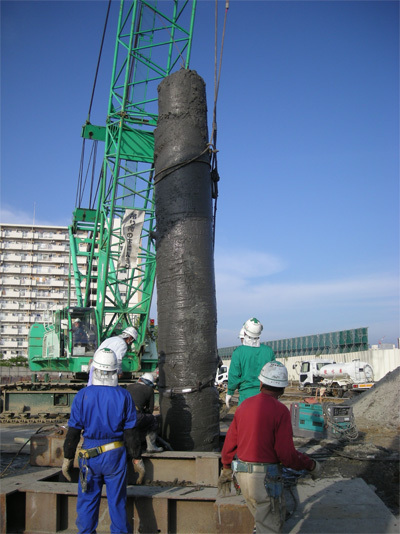 A method in which a special casing featuring water-jet or compressor is rotated using exclusive equipment featuring a hydraulic crane as the base machine, to eliminate the friction on the cylinder surface in order to draw the whole length of the pile at minimum vibration and noise.